Golf Equipment Reviews and Golf Equipment News - HONO GOLF-Bonston Equipment & Travel Cover and Golf Equipment Manufacturer and Supplier: shoe Equipment, Golf stand Equipment, golf gun Equipment Reviews, Golf cart Equipment, Golf Staff Equipment, Golf carry Equipment, golf travel Equipment cover, golf boston Equipment Reviews,golf tour Equipment Reviews,golf Equipment for junior,golf Equipment for lady-- main products: we produce various golf Stand Equipments & cart Equipments, golf carry Equipments, golf travel Equipments, golf boston Equipments Reviews, Golf Club Set, Golf stand Equipment Reviews, golf cart Equipment Reviews, golf carry Equipment, golf travel Equipment, golf club Putter, golf club Wood, golf club Iron, Golf Swing Simulator, golf training devices, custom golf club, golf Practice net, golf club head cover, golf club grip, tee, golf glove, golf cart, golf products Supplier and Maker, golf Equipments , golf clubs, complete clubs, training aids, accessories. Golf Equipment Manufacturer and Exporter- HONO GOLF - 2 in1 Golf Equipment & cart caddie - Related Products: golf carts , golf Equipments, golf trolley, golf staff Equipment, golf stand Equipment, golf Equipment news, golf carry Equipment, golf trolleys, golf staff Equipments, golf stand Equipments, golf cart Equipments, golf carry Equipments, shoe Equipment. 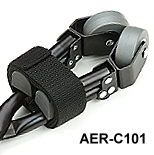 Producer of various golf clubs, swing training aids, All-Purpose golf bag & cart, Elastic Shaft puller and accessories. We do manufacturing and R&D in Golf field for several years. We dedicate our effort to develop unique products and have many patents. It will protect your market interest. OEM and ODM service are available. Made in Taiwan. Looking for agent around the world !! 2014 & 2015 Taiwan Excellent Pride Winner. 100% Graphite shaft, OEM and ODM service are available. We produce brush tees and More unique tees. 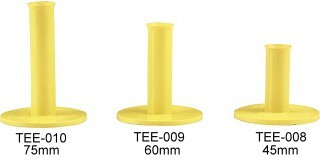 Many Sizes: 65mm (Top:30mm + Down:35mm) to 100mm (Top:30mm+Down:70mm). It is hard to break up or lose, durable and easy to use. Convenient for overseas travel purposes. The new idea ! It is an independent movable wheel, the weight is agile, taking convenience. Of course able to be used directly on the golf course and Convenient for overseas travel purposes. Golf Bag Moving Wheel™ Made in Taiwan. Designed to accompany all range mats. 100% ABS material, Made in Taiwan. Fixing-style sunglasses designed without glass bracket ;releasing bound and pressing feeling for the ears ;no worry about sweating while doing exercise ;looks beautiful and nice by using hidden pattern installing frame but not the usual clipping way. Made in Taiwan. 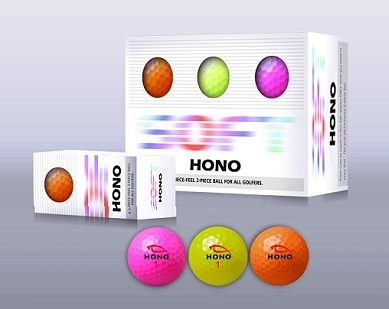 The HONO Golf team always continued to develop variously new golf products, please feel free to view our website http://www.hono.com.tw to see our current products.